ISLAMABAD, January 9, 2017: The Senate unanimously passed the Representation of the People (Amendment) Bill, 2016, introduced by Vice President PPPP, Senator Sherry Rehman. The Bill ensures that barring women from exercising their right to vote is now a criminal offence. “Now no jirga can prevent women from voting in the name of custom, tradition or fear,” declared the Senator. Now no jirga can prevent women from voting in the name of custom, tradition or fear. The Senator said, “Passing this Bill is a positive step forward. Despite the fact that a woman’s right to vote is constitutionally protected, they have faced multiple difficulties in exercising this fundamental right. This Bill will ensure that every woman’s vote counts”. Highlighting the significance of passing the Bill, Rehman went on to say, “This blatant violation of a woman’s constitutional right has been prevalent across the country. It is high time that the State criminalises such practices”. Rehman also stated, “We must work further to challenge the legitimacy of an election where women are restricted from voting. This will push leaders to take it upon themselves to guarantee that such practices are completely eradicated”. Numerous reports reveal, that in Pakistan, women voters have been restricted by tribal elders from exercising their right to vote citing ‘custom’ and ‘culture’ as their reasons. For instance, although there were over 4000 women who are registered to vote in Dhurnal, not one of them went to cast their vote in 2015. A similar scenario was reported in Balwal and Dholar as well. A panchayat has reportedly barred women from voting in Sandral Ghagh Kalan. In Buner, women were not allowed to vote at 11 polling stations in 2013. 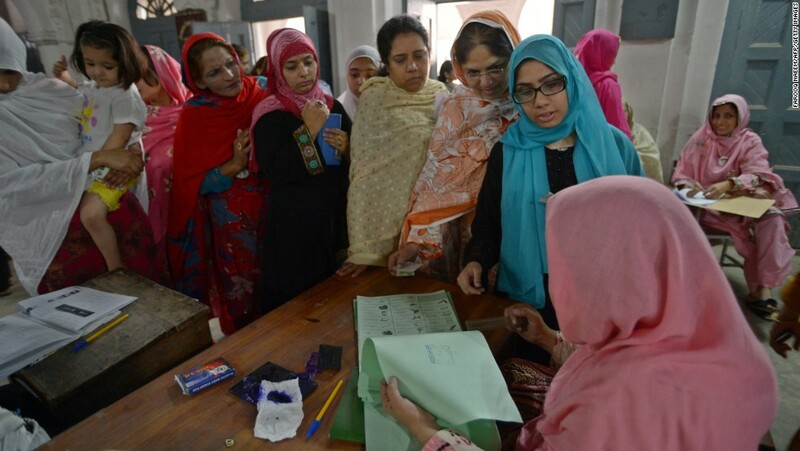 In other cases, women were prohibited from voting as a result of political connivance, this was allegedly the case in Hangu and parts of Malakand in 2015. “Citing custom and culture as an excuse to stop women from voting is unconstitutional as well. Every citizen of Pakistan has the right to vote and they should have the freedom to exercise this right without any constraints,” reiterated the Senator. Citing custom and culture as an excuse to stop women from voting is unconstitutional as well. Every citizen of Pakistan has the right to vote and they should have the freedom to exercise this right without any constraints. “Making women a part of the election process will only strengthen our democracy. This will also give them a voice and raise their stakes in society,” concluded the Senator.